The judge in the Premier Exhibitions bankruptcy case has approved the sale of the artifact collection to a hedge fund consortium for $19.5 million. The Equity Committee filed objections to the sale but the judge overruled them. A UK consortium attempted to raise funds to purchase the collection but withdrew after the judge ruled that potential buyers would have to raise $21.5 million to trigger an auction. Criticism of the sale process has been raised by both National Maritime Museum Greenwich (NMMG) and National Museums Northern Ireland (NMNI) who were part of the UK consortium. It is unknown at this time whether the Equity Committee will appeal the judge’s decision. The artifact sale will still have to be confirmed by the Federal Court in Virginia where the salvage award was litigated. According to a recent court filing, Premier Exhibitions has settled the largest general outstanding claim. The landlord of Premier’s former New York exhibition site asserted claims of $12.6 million in unpaid rent. Under the settlement, the former landlord will get $5.5 million and the other remaining claims are disallowed. 1) Premier Exhibitions recently sought permission to sell items from the French Titanic collection. 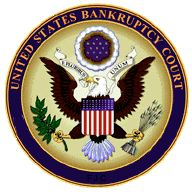 Since these items are outside of U.S.Federal Court , it reasoned that an expedited approval by the bankruptcy court would make the sale possible. The court turned down this request noting that under bankruptcy law that Premier Exhibitions must pursue what is called an adversary proceeding. Since the items in question were awarded by French officials, they may object to these items being put up for auction if the conditions they were awarded to the company excluded their sale. Premier must now go through a process to allow possible third parties (either the French government or other parties of interest)to object and a finding be made. 2. Perhaps in light of the bankruptcy filing (and increased pressure to show records to demonstrate exactly what is going on inside Premier), the company recently announced some changes. The new CEO is Jerome Henshall,the current chairman of the Audit Committee who replaces Michael Little who has been let go (or the better British word sacked). Mingcheng Tao has resigned from the Board of Directors and two new “independent” directors–Mark Bains and Guo Ding–have been appointed to the Board of Directors. Bains qualification is that he is the Chief Executive Officer of MJB Technology Solutions Ltd. Guo Ding qualifications are his “extensive experience as a political, cultural, and media correspondent for various national and international news agencies. He has appeared on television, print, and radio in Canada, China, US, and Hong Kong among many other countries. He has also authored several books published in both Chinese and English. Mr. Ding holds a Master of Arts from Rikyo University (Tokyo, Japan) and a Bachelor of Arts degree from Shanghai Normal University.” So if I get it right they have put a respected commentator of Chinese affairs on the board of directors. I get the independent part but has he ever run a business?